For over 20 years we’ve been building high quality custom cabinet doors for kitchens and homes in Western Canada. From our manufacturing plant in Maple Creek, Saskatchewan, our skilled and experienced craftspeople meticulously create solid wood kitchen cabinet doors, mouldings and components to your specification, hand selecting and processing each piece to bring out its natural beauty. All of our cabinet doors, mouldings and components are backed by warranty, and our dedicated staff makes sure your orders are placed accurately and shipped on time. If you’re looking for quality custom cabinet doors, mouldings and components in Western Canada, contact us. Turning Dreams into reality… assisting cabinet makers, designers and homeowners in the development and design of inspiring spaces by providing cabinet doors and solid wood components that are unique in design and are of the highest quality. 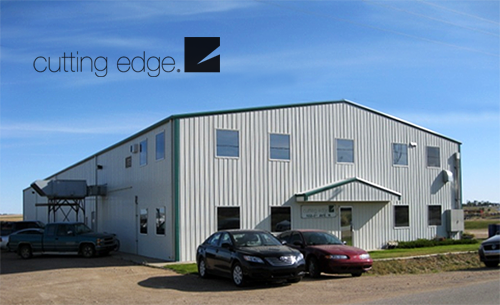 At Cutting Edge Doors & Woodworking we will strive to become the most professional and respected organization in our industry. Our icon with form and image of integrity and dependability in the minds of everyone with whom we have the privilege of doing business. It is our goal to bring together a high performance team that will work together to ensure that we are the best in the industry, providing on time delivery and quality that consistently exceeds the expectations of our clients.